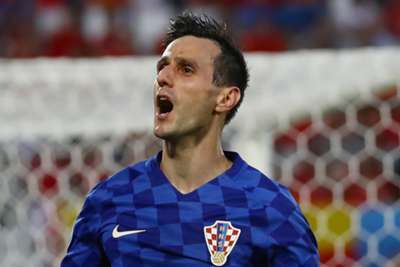 Nikola Kalinic rejected a World Cup medal as he felt he did not contribute to Croatia reaching the final. Kalinic was sent home from Russia 2018 by coach Zlatko Dalic following reports the striker refused to come on as a substitute during Croatia's opening group game against Nigeria. Dalic subsequently explained a back injury had prevented Kalinic from being able to play and in his absence Croatia went on to the final only to be beaten 4-2 by France. Kalinic has joined Atletico Madrid to end an unproductive stint with AC Milan, where he scored just six Serie A goals, and the 30-year-old wants to draw a line under the World Cup. "What happened at the World Cup happened," Kalinic said at his Atletico unveiling on Monday. "The coach did not want to count on me and I accepted that. 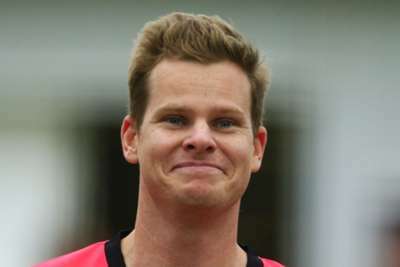 "I did not want the medal as I did not contribute during the tournament, did not share in the achievement of the team. We can leave it behind now." Atleti are reported to have paid a fee reported to be in the region of €15million for Kalinic, who signed a three-year deal with the LaLiga club. But the striker has his work cut out to force his way into Diego Simeone's team, with Atletico having Diego Costa and Antoine Griezmann as attacking options. "We are talking about maybe the two best forwards in Europe," Kalinic said. "I have a lot of respect for them. "I will have to compete and try and earn time on the pitch. There are many games over the season, and I hope to play my part. "I know everybody works hard here, but I am not afraid of that. I am looking forward to achieving great things here. "I've been following this team a lot, I know how they train and I talked to Sime [Vrsaljko], but I need time to get used to the coach and my work. I have a lot of desire."